ENRIQUE BRINKMANN was born in Málaga in 1938. When he was 17 years old he started to paint as an autodidactic painter. In 1957 Brinkmann presented his first exhibition in Malaga and founded the Picasso Group, together with other painters from Malaga. He collaborated regularly with the poetry magazine “Caracola”, making illustrations. 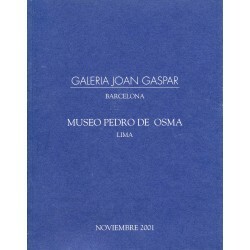 He travelled through Europe participating in several individual and collective exhibitions. In 1966 he came back to Spain, at the present he lives in Malaga, dedicating himself to painting, drawing and engraving, this last is very intensive field in his creation. 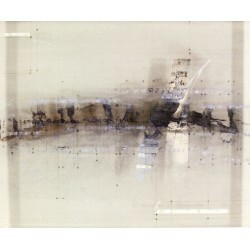 In 1994 he received The National Award for Etchings from the Calcografía Nacional (Madrid). The Latest Brinkmann’s period, shows his evolution away from figurative abstraction in paint and ink toward the adoption of metal net surfaces. 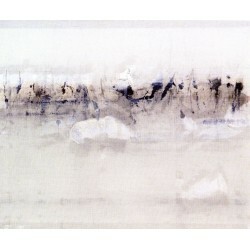 Works from the late 1990s to 2002 display intense colour on the transparent net surfaces, but from 2003 purity of line becomes predominant. Each one of paintings of this peculiar artist is a half-opened door. What we see through it, is also half-seen. It is a question of knowing how to see, and moreover, of intuiting what could be behind the shadows. 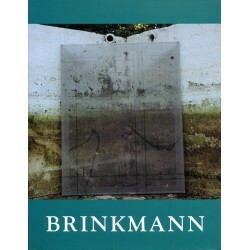 The painting of Brinkmann reveals the ambiguity and the uncertainty of our time, but also something else, from the very bursting point of the moment of creation. His works are present in many important public and private collection, such as: Albertina Museum (Viena), Museo Nacional Centro de Arte Reina Sofía (Madrid), The Fine Arts Museum (Bilbao), Museum of Modern Art (New York), Wallraf-Richartz-Museum (Cologne) etc. 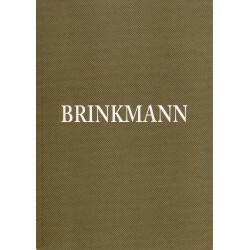 BRINKMANN Enrique There are 11 products. 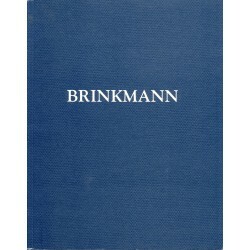 BRINKMANN Enrique. Item perspectiva. 1999. 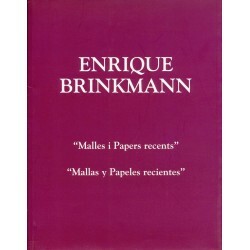 BRINKMANN Enrique. Detrás de la sombra. 2004. BRINKMANN Enrique. Escritura en óxido. 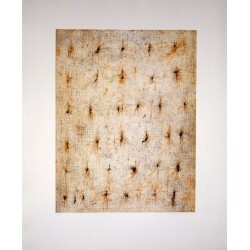 Original work Artist: Enrique Brinkmann Title: Hilera curvada Year: 2007 Media: Oil and graphite on a steel net Size: 56x68 cm. Attention! The colour that you see at you screen may vary from the original work. 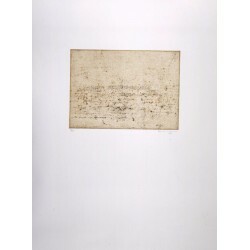 Original work Artist: Enrique Brinkmann Title: Hilera simple Year: 2007 Media: Oil and graphite on a steel net Size: 56x68 cm. Attention! The colour that you see at you screen may vary from the original work. 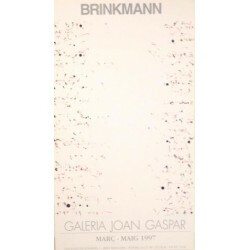 Historical poster: Artist: Enrique Brinkmann Title: "Galeria Joan Gaspar" Year: 1997 Size: 78x43,5 cm. Tiny foxing spots may be present.